AURORA, Ill., Feb. 18, 2011 -- AAA Chicago's most recent Fuel Gauge Report estimates that in Illinois, regular unleaded gasoline has increased $.04 cents during the past month, forecasting an average cost of $3.26 per gallon for the month of February, which is $.57 higher per gallon than last year. In northern Indiana, gas prices average $3.15, which is up 6 cents from January 2011 and up $.55 from February 2010. 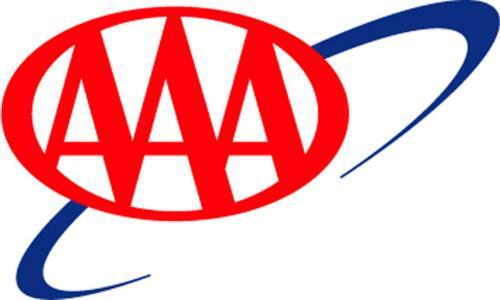 "The cold snap throughout much of the U.S. in February pushed oil prices higher, which consumers paid for at the gasoline pumps," said Beth Mosher, director of public affairs for AAA Chicago. In Cook County, Ill., self-serve regular unleaded gasoline averages $3.42, which is up $.05 from last month and $.59 higher than last year's price-per-gallon. In DuPage County, Ill., self-serve regular unleaded gasoline averages $3.29 per gallon, which is a 4-cent increase from January and up 59 cents from last year. In Kane County, Ill., self-serve regular unleaded gasoline averages $3.27 per gallon, which is 5 cents higher compared to last month and $.62 higher than February 2010's price. In Lake County, Ill., self-serve regular unleaded gasoline averages $3.25 per gallon, which is 5 cents higher than last month and up by $.59 compared to this time last year. In McHenry County, Ill., self-serve regular unleaded gasoline averages $3.26 per gallon, which is 6 cents higher than last month's average and $.62 higher than February 2010's price. In Will County, Ill., self-serve regular unleaded gasoline averages $3.26 per gallon, which is 4 cents higher compared to last month and $.57 higher compared to last year. In Champaign County, Ill., self-serve regular unleaded gasoline averages $3.15 per gallon, which is even from January and an increase of $.55 from last year. In McLean County, Ill., self-serve regular unleaded gasoline averages $3.17 per gallon, which is 6 cents higher than last month and $.58 higher than last year. In Peoria County, Ill., self-serve regular unleaded gasoline averages $3.16 per gallon, which is up $.05 compared to last month and up $.57 from February 2010. In Sangamon County, Ill., self-serve regular unleaded gasoline averages $3.17 per gallon, which is 5 cents higher than last month and $.57 higher than last year. In Winnebago County, Ill., self-serve regular unleaded gasoline averages $3.17 per gallon, an increase of 4 cents from January and $.59 higher than February 2010. In Allen County, Ind., self-serve regular unleaded gasoline averages $3.15 per gallon, which is an increase of 4 cents from last month and $.55 higher than February 2010's price. In Lake County, Ind., self-serve regular unleaded gasoline averages $3.17 per gallon, a 9-cent increase from January's average and a $.57 increase from a year ago. In Porter County, Ind., self-serve regular unleaded gasoline averages $3.10 per gallon, which is 1 cent higher than last month and $.48 higher than last year. In St. Joseph County, Ind., self-serve regular unleaded gasoline averages $3.15 per gallon, which is 1 cent higher compared to last month and $.55 higher compared to last year.